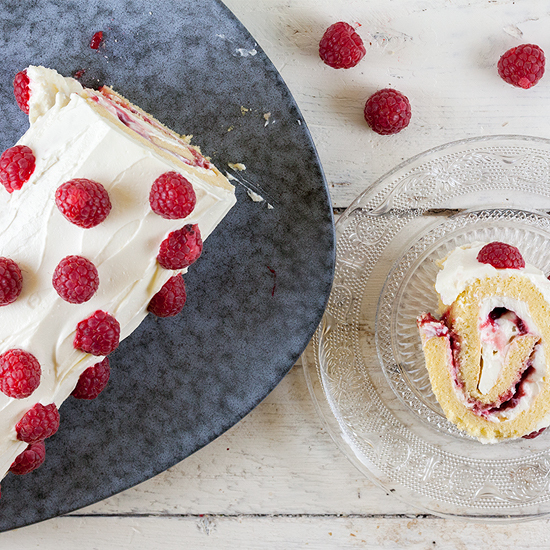 A delicious raspberry cake roll with refreshing cream cheese. It looks amazing and festive, perfect for a special occasion. 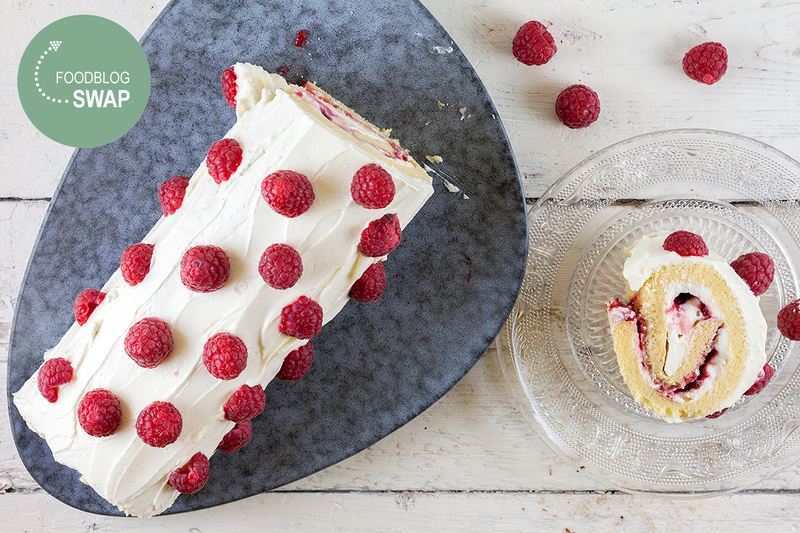 If the cake isn't too thin, this cake roll can't go wrong! PRE-HEAT the oven to 180 degrees Celsius or 350 degrees Fahrenheit. Line the oven tray with parchment paper and coat the paper with butter. BEAT 4 eggs and 100 gram sugar in your standmixer until they’re fluffy, this will take about 5 minutes. Meanwhile MELT 50 gram dairy butter and add it to the fluffy eggs. Gradually ADD the flour with a pinch of salt and make sure the batter will be as fluffy as possible. DIVIDE the batter over parchment paper and make sure the cake won’t be too thin. CREATE an even rectangle of about 25 x 35 cm (9.8 x 13.7 inch). BAKE the cake for about 10 minutes. Make sure to have a clean kitchen towel with a thin layer of powdered sugar ready. As soon as the cake is set, TRANSFER the cake to the towel and immediately remove the parchment paper. ROLL the cake carefully and let it cool off while it’s in the towel. COMBINE cream cheese and mascarpone until you’ve reached a smooth mixture. ADD about 4 tablespoons of powdered sugar, you can sweeten it as much as you like. 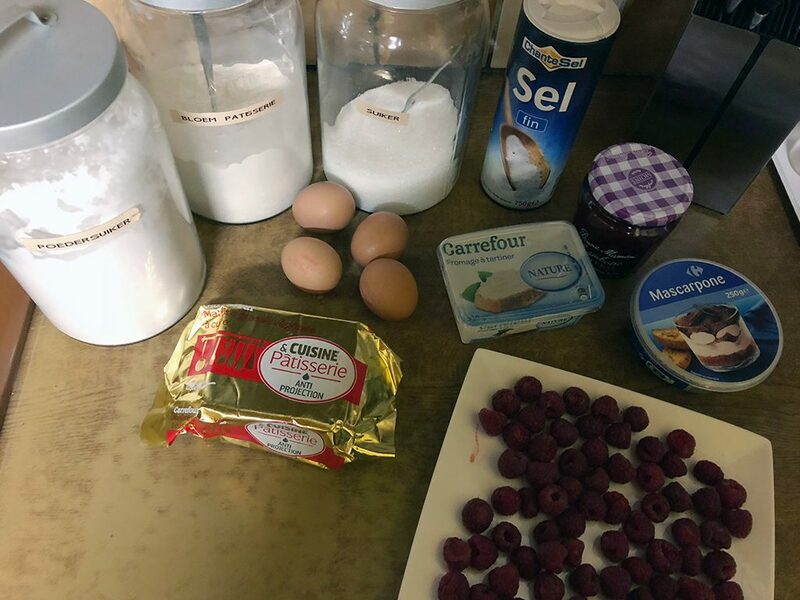 Carefully REMOVE the towel and coat the top with a thin layer of cream cheese mixture and then a thin layer of raspberry jam. Make sure the layers won’t be too thick otherwise it’s impossible to roll it up again. ROLL the cake and coat the top with the rest of the cream cheese mixture. You can chop of the ends of the cake for smoother edges. 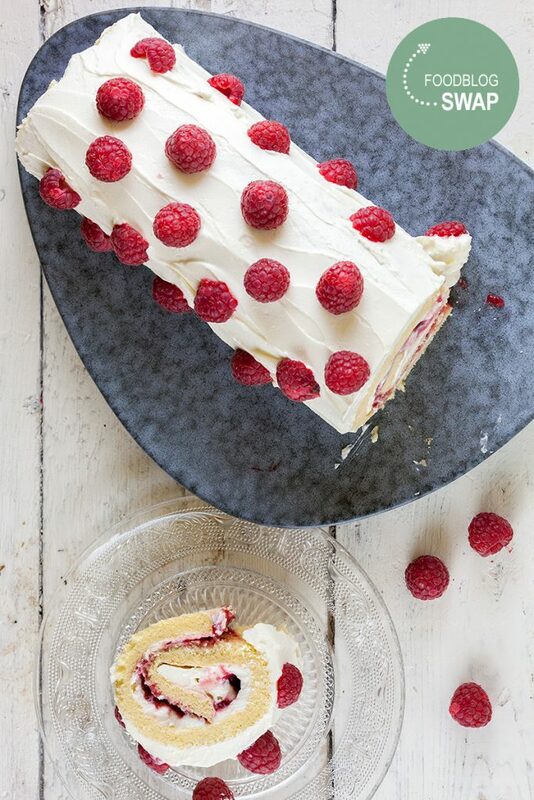 FINISH with fresh raspberries and enjoy!